This is Jilly. Today, she hugged most of the cats in town! 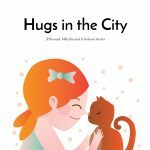 Created at Book Dash Durban on 7 November 2015 by Milly Brouard (writer), JP Brouard (illustrator), and Kalynne Vorster (designer). Edited by Liz Sparg. 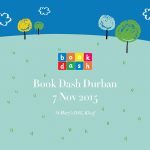 Book Dash teamed up with the wonderful Solon Foundation to bring Book Dash to Durban! On Saturday 7 November, teams of professional writers, illustrators and designers joined us to create beautiful children’s books at St Mary’s DSG in Kloof.